A loose coalition of human-rights concerned politicians from across the region on Friday called on governments throughout Southeast Asia to end the increasing number of assaults and abuses of media workers throughout the region. 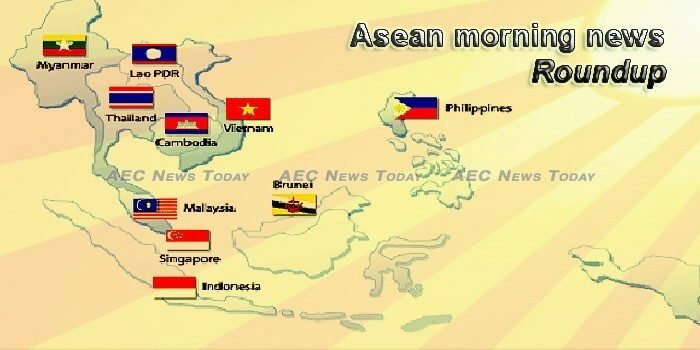 The ASEAN manufacturing sector saw its operating conditions slip with headline purchasing managers’ index (PMI) falling from 50.5 in September to 49.8 in October, according to Nikkei’s ASEAN Manufacturing PMI survey data. Southeast Asian corporates are almost more positive about their company’s trade outlooks compared to global peers, as they are turning their focus to increasing investments into supply chain technology to turn looming threats of global trade tensions into a headwind, according to HSBC’s Navigator report. Lazada Group, a leading e-commerce portal in Southeast Asia with the majority owned by Alibaba Group, said Monday that it will cultivate eight million e-commerce entrepreneurs and small-medium enterprises (SMEs) in Southeast Asia to grow and thrive by 2030. Consumers in the land of smiles have the most voracious online shopping habits in Southeast Asia. GDP impact of Muslim travel in Asia is forecast to hit USD33 billion by 2020, up 27% from USD26.2 billion in 2017, according to new research unveiled this week. The 12th ASEAN Ministerial Meeting on Transnational Crime (AMMTC) hosted by Myanmar in Nay Pyi Taw has adopted an action plan on fighting terrorism. A statement to that effect was released at the end of the meeting on November 1. The Singapore Civil Defence Force (SCDF) will deploy 150 officers and a range of emergency vehicles for the 33rd ASEAN Summit, when hundreds of ministers and delegates from 10 Southeast Asian nations will descend on Singapore’s Suntec International Convention and Exhibition Centre from Nov 11 to 15. Food is synonymous with Southeast Asia. From the mouth-watering delicacies in the streets of Thailand, Cambodia, Malaysia and the Philippines – just to name a few – to the Michelin starred restaurants that serve fine dining quality cuisine with a dash of authentic local flavours. The United Nations Special Rapporteur on human rights in Cambodia, Rhona Smith, will hold a press briefing at the UN Human Rights Office (OHCHR) on 8 November 2018 to discuss the preliminary findings of her 11-day visit to Cambodia, according to the media advisory dated on Monday. Space data gleaned from satellites has been used to create a hypothesis on the cause of the collapse of the saddle dam D at the Xe Pian Xe Namnoy project in Attepeu province. SHANGHAI, Nov. 4 (Xinhua) — Chinese President Xi Jinping on Sunday met with Lao Prime Minister Thongloun Sisoulith, who will attend the first China International Import Expo opening Monday in Shanghai. The Lao PDR Freight & Logistics Market gives scope of the report includes a detailed study of Lao PDR Freight & Logistics Market with the reasons given for variations in the growth of the industry in certain regions. Malaysia will introduce a tax on high-sugar drinks and juices in a move to reduce levels of obesity. As of 1 April 2019, an excise duty of MYR 0.40 ($0.10) will apply to beverages containing more than 5g of sugar per 100ml and juices that contain more than 12g of sugar per 100ml. Malaysian finance minister Lim Guan Eng made the announcement when unveiling the country’s Budget 2019. Malaysia’s exports rebounded by 6.7% in September 2018 to RM83 billion year-on-year (y-o-y) after a slight decrease in the previous month, according to Statistics Department. Access to credit will no longer be a problem for Myanmar people thanks to an innovative consumer lending application which allows anyone with a smartphone to easily apply for a loan regardless of their financial records, according to Theta Aye, founder and chief executive of Mother Finance Co.
YANGON, Myanmar — Myanmar’s ruling party led by Aung San Suu Kyi has won at least six seats in by-elections to fill 13 of the 1,171 seats in national, regional and state parliaments, according to preliminary results released Monday. Myanmar has yet to implement a fish auction market project in Myeik of Taninthayi Township although over a year has passed since the parliamentary approval from the majority of MPs, said Dr Win Myint, secretary of the upper house committee for agriculture, livestock and fishery development at the largest ever fishery symposium held at Myanmar Fisheries Federation headquarters. The Philippine manufacturing sector, as reflected by the purchasing managers’ index (PMI) in October posted a 10-month high score of 54, from its previous score of 52 in September, indicating an uptick in the sector’s activity to usher-in the fourth quarter. INVESTMENTS registered with the Board of Investments (BOI) expanded 26 percent to P515 billion from January to October, the BusinessMirror learned from a highly reliable source. Singapore companies are putting their bets on China’s rising wealthy millennials to drive future sales despite the ongoing trade war between China and the United States and a cyclical downturn in electronics, a survey has found. From next Monday (Nov 12), some commuters at selected MRT stations will have to walk through metal detectors and pass their belongings through X-ray scanners before going through the fare gates. Very little went wrong for DBS Group Holdings last quarter. Singapore’s biggest bank, the last to report earnings, posted a 76% jump in net income. Net interest margins widened 13 basis points and credit costs were 71% lower than a year earlier. Investment banking wobbled, but trading income surged to compensate. The Center for Economic and Business Forecasting has remarked that the U.S.-China trade war and the lower number of Chinese tourists were negative psychological factors that affected consumer confidence in September. The demand for both crystal meth and ‘yaba’ is escalating as is the production to meet the increasing demand.